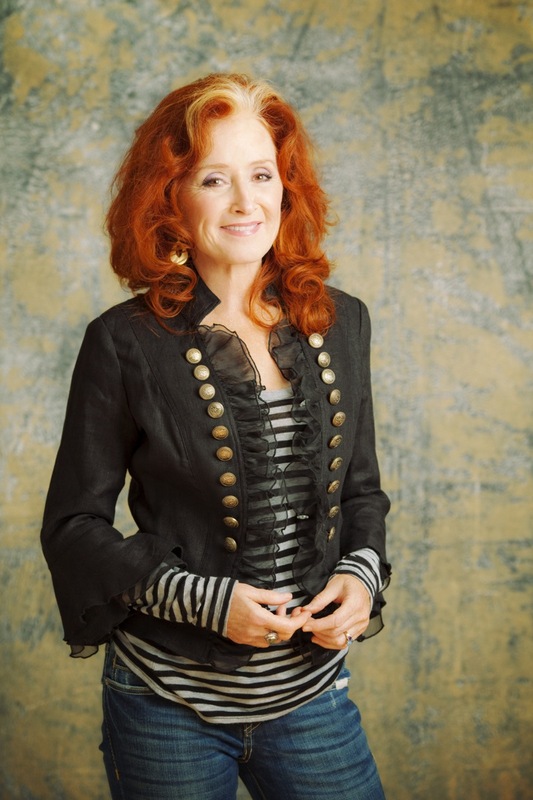 Madison Concert Ticket Giveaway: Bonnie Raitt, 8.20.12 | True Endeavors Presents: music, tours, tickets, mp3 downloads, concert pictures, videos, Madison WI. Next Monday evening (August 20), Madisonians gathering at Overture Hall will be treated to not one but two legendary artists as Bonnie Raitt takes the stage, supported by Mavis Staples. We are honored to be able to present their talent to local fans, and want to share this magical night with our blog readers. We’re giving away one pair of tickets to this very special show after the jump. Read on to find out how you can enter to win! WIN A PAIR OF TICKETS: Bonnie frequently treats other artists’ songs to her soulful, blues and country-inspired style as she covers them both in studio and in a live setting. What song(s) would you love to hear Bonnie take on next, and make her own? Please have your responses posted in the comments section below by 7:00pm on Friday, August 17. A winner will be chosen and notified shortly thereafter. Good luck! I would love to hear Bonnie take a shot at Gillian Welch’s “Miss Ohio”. Three songs that jump to my mind a la Bonnie are: Just the Way it Is (Bruce Hornsby); Feelin’ Good (Anthony Newly & Leslie Bricusse); Bell Bottom Blues (Eric Clapton). Maybe this is wishful thinking, but how about “Skinny Love” by Bon iver. Justin’s take on her song is beautiful, I’m sure she’d do the same. I would love to hear “Lullaby” by the Dixie Chicks. I would say “Don’t Be Shy” by Cat Stevens. Shemekia Copeland’s “Never Going Back to Memphis” or “The Other Woman” would be excellent. (I didn’t see a winner, so I’m putting my reply in there): “Mother” by Pink Floyd – I know she has the passion for it. Congratulations to Matt! You’re going to the show on us. We’ve got our fingers crossed that she’ll consider a Bon Iver cover (as well as all of these other great suggestions)! Thanks everyone.